We marched up the dry ridge in the 104 degree heat, with pulaskis in hand, excavating the burned stumps and flaming logs, to extinguish the last of the heat. Gloves off. Test the heat of the stump hole with the sensitive back of your hand. Ash floats up around me with every step. Kirsten stops, her face ashen. “I don’t feel so well.” She has heat stroke. It’s time to move her off the mountain. On the radio, voices from another fire, not ours, up the canyon. “How many are lost?” Another voice, “Let’s not do this over the radio.” I would not understand, until morning briefing the next day, this was radio chatter from the Storm King fire, and 14 firefighters had just died. Later that decade, I wandered through an old burn in the evening light, and was stopped short at the contrast of the burned snags in the thick green aspen shoots, where we hadn’t known aspen existed, and the fuchsia firewood spikes reaching for the darkening sky. 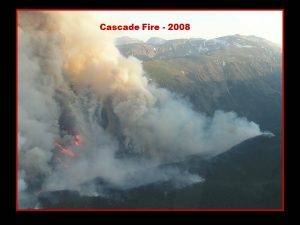 That experience of the Storm King Fire in Colorado, 10 years into my Forest Service career, along with the losses of 2 fellow Bitterroot Forest firefighters Dave and Jesse, informed the rest of my career. But so did the evening walk through the regenerating forest. We grow up learning about the power of fire, water, and ice to shape the earth. But where do the human stories intersect with these natural events? Humans homesteaded in and around these mountain forests, clearing patches to build in, influencing the landscape, and then stepping aside when the fires returned and reset the forest progression. Shocking debris flows follow the fires, tearing new seams into steep mountainsides, and redepositing earth and boulders on new alluvial fans far below, maybe on farmland. Sometimes people lose homes. Sometimes firefighters lose lives. 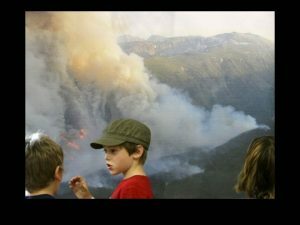 How then should we think of fire in the Absaroka-Beartooth Wilderness – where we all expect fire to be allowed to play its natural role? Three fires in three decades. Each with roots in the Absaroka Beartooth Wilderness where fire is a natural ecological component, and each with significant impacts to nearby people and communities. 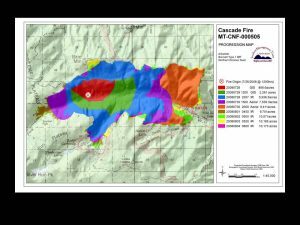 The Storm Creek Fire resulted in the evacuations of Cooke City and Silver Gate, featured on national newscasts. The Shepard Mountain Fire forced 13 firefighters into fire shelters, and destroyed thirty five homes and roughly forty outbuildings. 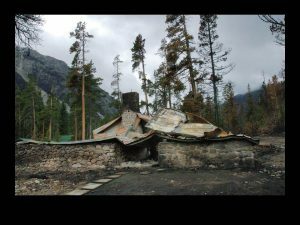 Twenty six homes and twenty outbuildings were lost in the Derby fire (vs 20 USFS site) [engine incident]. 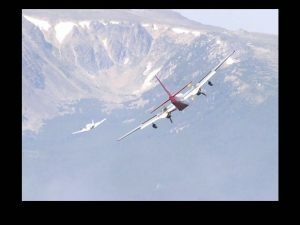 The 1996 Shepard Mountain Fire was the twenty third fire of the season on the Beartooth Ranger District. That number is indicative of the number of fires that burn every year, both in and outside Wilderness. These 3 fires burned in separate canyons of the east face of the Beartooth Mountains of Montana, in the northeast corner of the Greater Yellowstone Ecosystem. These canyons look from the air like deep incisions into the elevated Beartooth Plateau, and occasionally are susceptible to powerful jet streams perfectly aligned with a canyon, creating katabtic downslope winds, like currents of a waterfall. 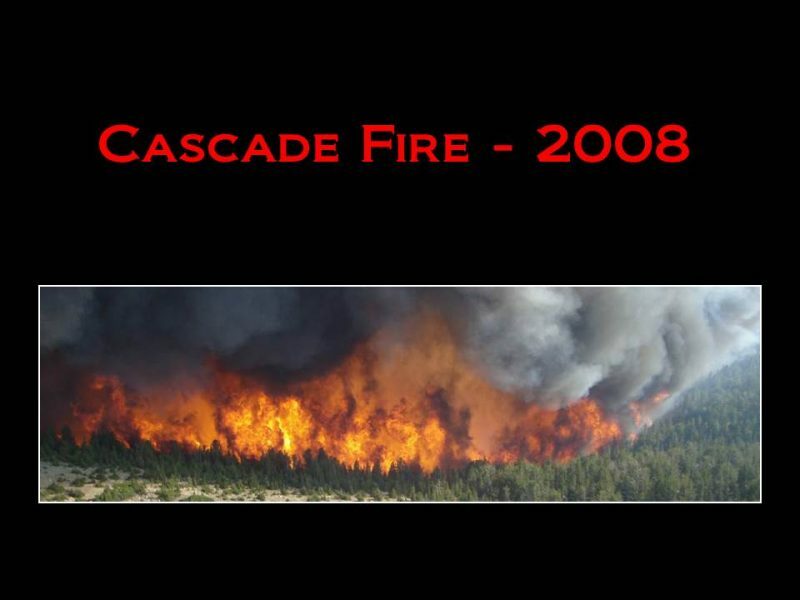 They can trigger massive windfall events, like the 14,000 acre windfall in November of 2007, or, in fire season, can push a benign fire into a wind-driven event that demands we pay attention. 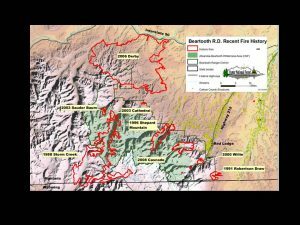 So what is the fire history in the Beartooth Mountains? What’s different now? And what’s at risk? AB Atlas project leader Traute Parrie is at her best in the high mountain habitat of pikas. She is prone to long walks, skis, or rides, with or without a particular destination, such as her recent hike through Yellowstone from Lamar Trailhead south past Thorofare and Hawk's Rest Patrol Cabins, to Jackson. She worked for the US Forest Service for over 31 years, most recently as the Beartooth District Ranger on the Custer Gallatin National Forest, out of Red Lodge. She retained her red-card qualification as a Firefighter throughout her entire career. Now you will find her volunteering on the fun stuff, like pounding nails on fire lookout restoration projects.